A Great Guy Quilt! 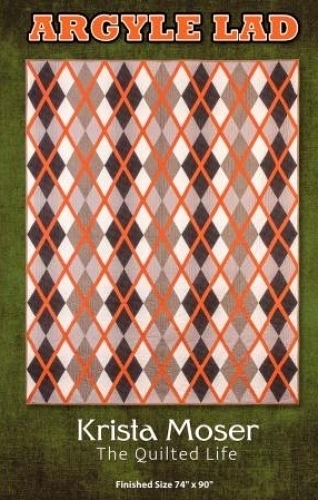 Argyle Lad is made with four colors and a pop color. Can be adapted to your man cave, den, or college dorm room colors. This pattern was inspired by a traditional argyle plaid and a good friend's scarf. Tired of banging your head against the wall searching for a graduation quilt, this quilt pattern fits the bill. Strip-pieced for ease, accuracy, and speed. This intermediate quilt includes step by step instructions with plenty of illustrations, through every stage, to make your quilt top. Finished size 74" x 90".